In 1824, after a long legal wrangle, the old Sutton Corporation made provision for elementary education for all the children in the town. 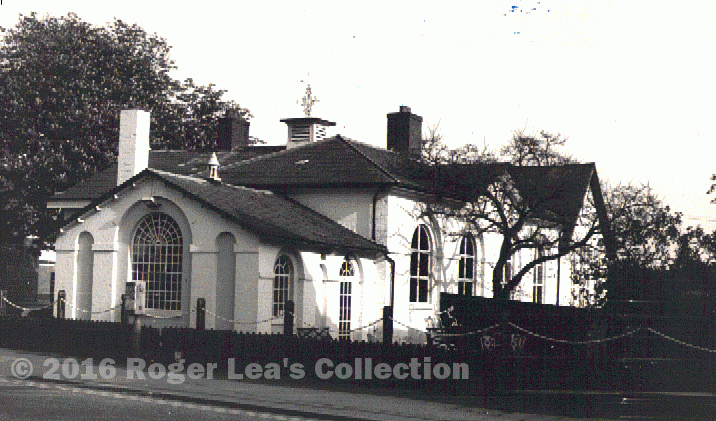 As well as new schools in the town centre and at Walmley, a school was built to serve the populous district to the north of the town - the hamlets of Four Oaks, Hill Village, Hill Hook, Roughly, Little Sutton, Ley Hill and Mere Green. The Warden and Society (that is, the Corporation) decided to build the school on a piece of land they owned at Mere Green, where the old pool had recently been drained and filled in. Education was to be by Dr. Bell’s system, which consisted of a paid teacher who trained up a number of monitors who in turn passed on their reading and writing skills to the other children. In his manual, Dr Bell specified that teaching should take place in a large hall, the pupils being seated on benches or ‘forms’ each with a monitor at the end of the row. The hall should have large windows, but the bottom of the windows should be at least five feet from the floor to discourage window-gazing. The windows at Hill School (now a Loch Fyne restaurant) fit this requirement. The school was built by the Four Oaks builder Solomon Smith at a cost of £360, and completed 1826. It was intended for 50 boys and 50 girls, but until it was finished 40 boys and 40 girls were enrolled in temporary buildings, taught by Mr. and Mrs. Aulton, who were engaged as school master and schoolmistress at an annual salary of £30 each. The Census records for 1851 show that there were 196 local schoolchildren - 50 from Hill Village, 23 from Four Oaks, 14 from Four Oaks Common, 18 from Hill Hook, 24 from Hill Wood, 15 from Roughley, 21 from Little Sutton, 23 from Mere Green and 8 from Ley Hill. It was a long walk to school for some of them, for example the Webb children trudging all the way from Hill Hook - Ann Webb, aged 14, was old enough to be a senior monitor, while William and Charlotte at 9 and 7 were of school age. But the two younger Webbs, aged 3 and 2, are also listed as ‘scholars’ - is this a mistake, or did the school operate a crèche? The 1826 school building at Mere Green, known as Hill School.